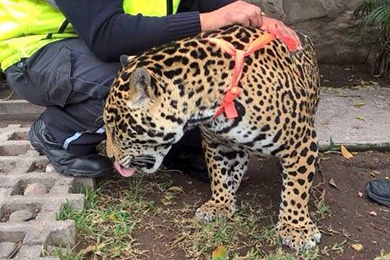 It’s not often that a kitten gets the best of an adult dog, but that was the unfortunate outcome of the close encounter between a baby jaguar and a pet Chihuahua reported Sat... EZassignmenthelp is the best homework help website. Take a look at Term Paper Easy if you need any help with your papers. As demand for seafood soars with the arrival of Lent, one’s thoughts may t... Are you looking for a perfect research paper? Visit Weeklyessay.com. US election: Should expats consider voting from a Mexican perspective? 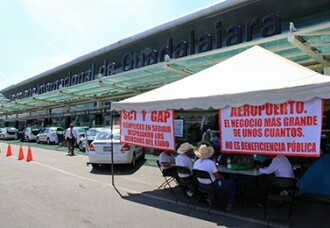 ISP, CFE reliability improves in Mexico – Can it get much better? Popular contemporary music sessions continue each Monday with folk-rock band Leiden on March 7; and acoustic duet Espumas y Terciopelo on March 14. Teatro Alarife Martin Casillas, Mondays, 8 p.m. Free. Música Para Crecer A.C. is now in a position to arrange tax receipts for donations in U.S. dollars. The Guadalajara metro-area suburb of Pinar de la Venta lies on the northern edge of the Primavera Forest and has numerous woodsy stretches good for hiking. It’s sooooo slooooow! A couple of weeks ago I warned readers that this was a complaint I frequently hear from clients about their computers and that I was sure to have more to write on this topic than would fit into one column. VoIP’s dirty little secrets: ‘Call anywhere in the USA’ – Really? Revisiting the Internet’s ‘Stone Age’ as far back in history as the 1990s! There wasn’t a band playing “The World Turned Upside Down” (Yorktown 1781) but such musical accompaniment wouldn’t have seemed out of place Tuesday night as the outcomes of the New Hampshire Democratic and Republican primaries became clear. There’s a time and a place for Costco. And sometimes a trip to Superama is a good place to walk the aisles – particularly if you’re looking for yellow cheese. But given the choice, I pick one of my little neighborhood groceries every time. More than a dozen bands from all over Mexico will descend on a Zapopan neighborhood when the “Verbena de la Musica Nuestra” (Carnival of Our Own Music) takes over the charming plaza of Atemajac del Valle Saturday and Sunday, February 27 and 28. The U.S. Consulate in Guadalajara Wednesday held a celebration to honor Guadalajara’s Instituto Mexicano Norteamericano (IMN), an institution that has been teaching English to Mexican citizens for 67 years. The Chapala Sunrise Rotary Club is kicking off a week of events to celebrate women March 6-12. Attendees enjoyed the festivities at the 3rd “Spayghetti No Balls” dinner gala at the Raquet Club on February 19. The Navy League of Vallarta and American Legion Post 14 invite all American, Canadian and Mexican citizens to pay tribute to all those who served in their country’s armed forces. As aspiring writers well know, authoring a book is one thing, getting it published is another. Here’s the chance you’ve been waiting for to show off your hidden talents, beyond singing along with the karaoke machine in your favorite vacation hangout. A free spay and neuter clinic is set for La Cruz from Thursday, February 18 to Sunday, February 21, sponsored by Amigos de La Cruz. Ray Calhoun discovered the Costa Alegre in the late 1980s. His seasonal work at a British Columbia marina allowed him time to head south in winter. The Valentine’s Day Art Walk starts at the Ed Gilliam Studio, and continues to Casa Camera (11 artists will be featured) and La Taza Negra for iced coffee, watercolors and jewelry. It is all about fun, food and friendship at the 7th Annual Duckaton Fundraiser for SETAC (Solidaridad Ed Thomas A.C.) You’ll enjoy live entertainment, food, open bar, and great prizes all for a good cause. The 4th Annual American Legion Charity Chili Cook-Off will fire up on Saturday, February 27, from 1 to 5 p.m. at El Rio BBQ Bar and Grill on the Cuale River in Colonia Paso Ancho. 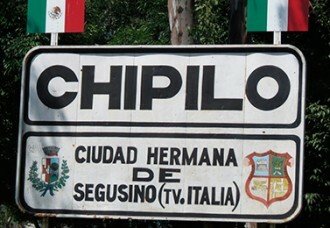 The chikungunya virus has extended to ten Mexican states, and while only two cases have been reported in Jalisco, neighboring Colima has 34 confirmed cases. 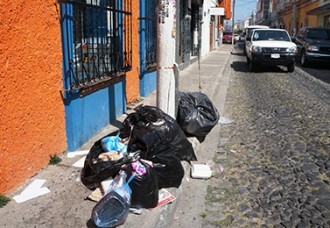 Elias Iñiguez Mejia, the president of the Health Committee in the Jalisco Congress, is pushing for a statewide campaign to disseminate the risks posed by out-of-date medicines, as well as their correct disposal. Doctors in Guadalajara admit they are prescribing the anti-viral Tamiflu, even when they are unsure whether their patient has influenza or not. The municipality of Chapala will commemorate International Women’s Day, March 8, with a series of special activities scheduled throughout the coming week. Scores of school kids joined local officials for the debut of a giant flag raised outside Chapala City Hall early Wednesday, February 24 to commemorate Mexico’s Día de la Bandera. State health authorities are playing down the seriousness of the spike in flu cases, even though doctors say clinics are bursting at the seams with probable sufferers. U.S. Secretary of State John Kerry says delays to the confirmation of Roberta Jacobson as the new U.S. ambassador to Mexico are an “insult” to this country. Mazatlan is the music mecca of Mexico, or at least that’s the word around town. You can see signs of it everywhere, from banda, Mexican ballads, mariachis, and the sweet sound of Jazz and blues, rock, folk, country and classical music. From March, Mexico plans to deliver data to the United States on all Americans with investments in Mexican banks of more than US$50,000. The BCC is to finance a biographical film about the late British artist Leonora Carrington, an iconic figure who lived a large part of her adult life in Mexico. Mexican Stock Market (BMV) opened at 44,615.75 an increase of 1,442.02 points from Thursday, February 25, 2016. - Mexican Stock Market (BMV) opened at 43,173.73 a decrease of 411.5 points from Thursday, February 18, 2016. 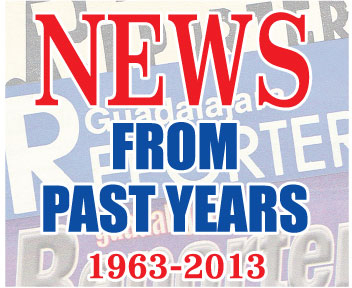 Riberas resident Gary Keeler died at home on Sunday, February 28. Popular lakeside singer and harmonica player Jay Shuffle died peacefully in his sleep on Valentine’s Day morning, at the age of 66. Leopoldo Seifert, Juan Varela and Yanic Gentry shared honors as co-winners of the first annual Copa Porsche sailing regatta held last weekend at Chapala’s Club de Yates. The three young Jalisco-born athletes racked up equal scores to tie for the championship title. Guadalajara boxer Saul “Canelo” Alvarez will defend his WBC World Middleweight title against Great Britain’s Amir Khan on May 7 in Las Vegas. Try Paper written if you can't finish your paper before the deadline.